Clearwater Advantage takes a refreshingly different approach to supporting growing businesses. Where other approaches focus on outsourcing non-core functions, we help to make sure the core functions are “match fit” to drive the next phase of growth. 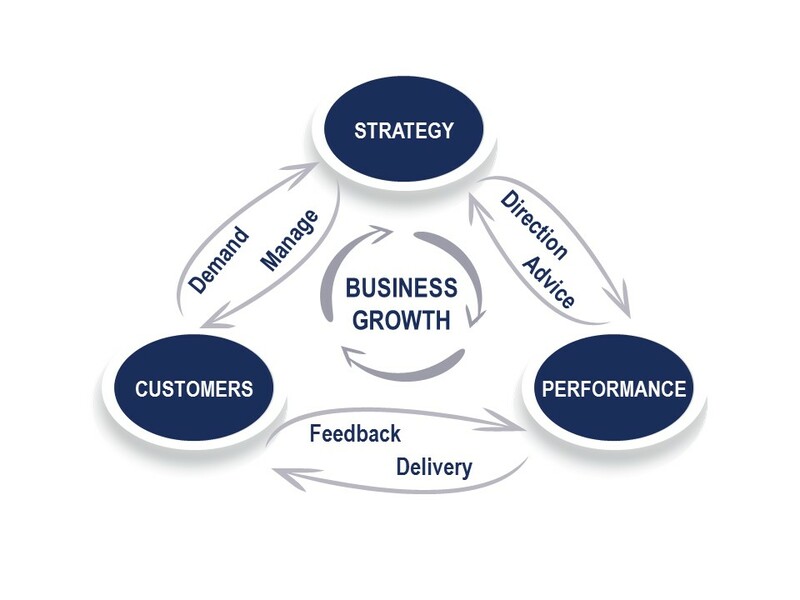 Making key improvements in the areas of Strategy, Performance and Customers underpins ambitious growth plans. Strategy Every successful business already has a strategy, but as a business grows and matures the strategy needs to change. Rooted in a deep understanding of the target market, and with innovation at its heart to drive differentiation, a growth strategy must guide every part of an increasingly complex organisation in the right direction. Properly resourced and communicated, it is the foundation of further growth. Performance As a business grows, internal operations and how they are managed need to evolve to maintain performance and keep a competitive edge. There is no need to dive in and blindly adopt the full range of corporate processes used by major companies, but there is an optimal level of process maturity that will maximise performance without being unnecessarily complex. Customers As a business’s market grows and becomes more diverse, so customers’ needs and wants become more varied and difficult to meet. Taking a fresh look at these demands and how they translate into requirements for the business provides invaluable feedback into a business’s strategy and feeds the product innovation cycle that will nurture growth.